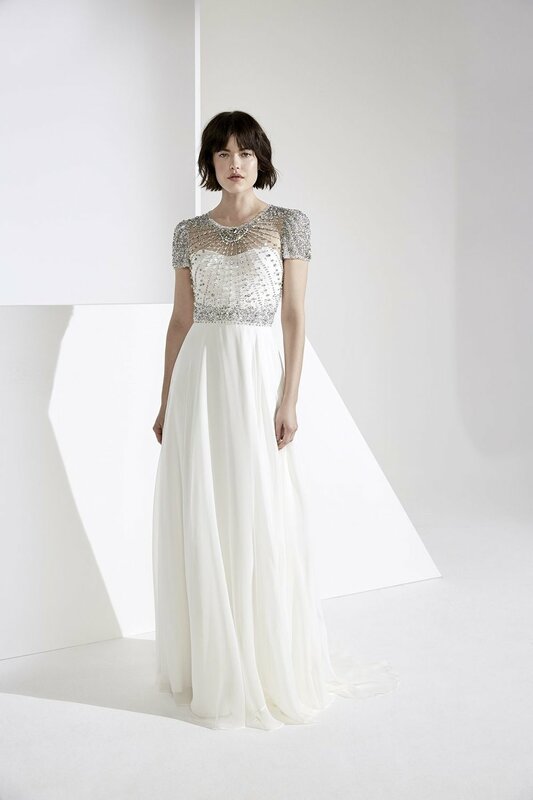 Jenny Packham exclusively at Sharon Hoey. The name of Jenny Packham is synonymous with the glamorous style, luxurious quality and resolute craftmanship of her designs. Renowned internationally for her red carpet dressing, beloved by many stars of the silver screen and regularly featured in all top international magazines such as Harper's Bazaar UK,/ China/ Australia, Vogue Japan/UK/Italy and many more. The exciting 2019 collection marks the 30th anniversary of Jenny Packham, inspired by the glittering sparkling world of F.Scott Fitzgerald. This collection is pure Romance - " I WANT TO KNOW YOU MOVED AND BREATHED IN THE SAME WORLD WITH ME " - F Scott Fitzgerald .